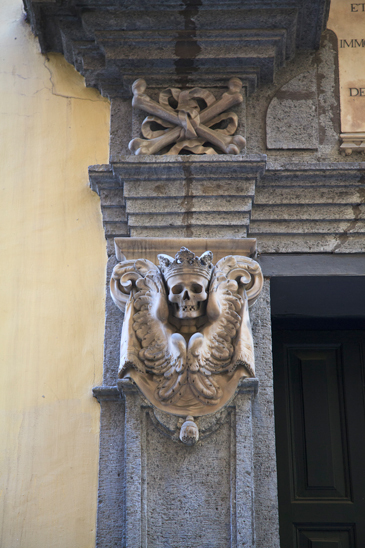 "Memento Mori," beginning of the 17th Century, unknown artist from the Reno region, marble paste. 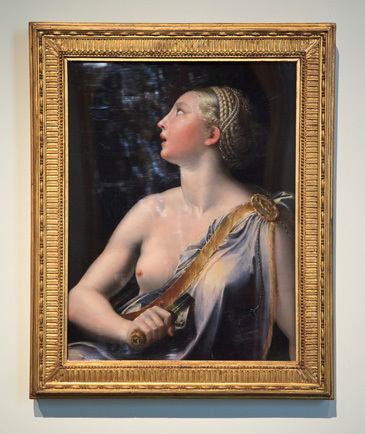 As seen at the wonderful Capodomonte Museum, Naples, Italy. Thanks so much to Dana Sherwood for turning me on to this! 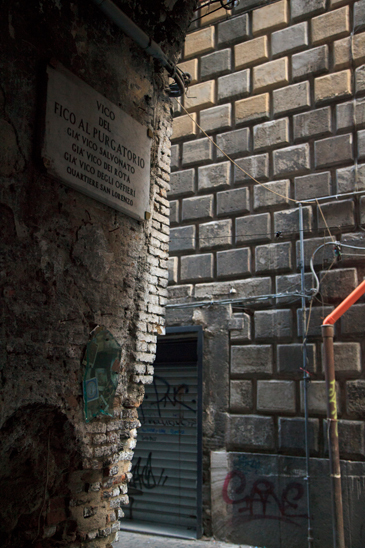 Today: off from Naples to Palermo to meet good friend and fellow trouble maker Evan Michelson--star of TV's "Oddities" and Morbid Anatomy Library scholar in residence--where we will commence a three-week trip through Italy collecting images and information for our book project investigating "the history of Western culture as revealed through the preservation and display of the human corpse." Evan and I plan to post regularly here about the amazing things we encounter, so stay tuned for that. You can also find out more about our project here. We have just a few more slots left for Monday's D.I.Y. Wet Specimen class with the fabulous Sue Jeiven! If you are interested, please email Laetitia Barbier at Laetitia [at] atlasobscura.com! The Art and Science of Preserving Animal Specimens at Home...D.I.Y Style! In this class, Susan Jeiven--instructor of our popular Anthropomorphic Mouse Taxidermy Class--will teach students the arcane art of wet specimens, or organic material suspended in liquid preservative such as formalin, with the aim of preserving that within for ongoing study and contemplation. These stunning artifacts fill natural history, medical and anatomy museums; deceptively simple to the eye, they, in fact, demand special skills to do properly. These skills are generally taught only in professional apprenticeships rather than classes for the general public. Tonight's class will begin with a brief illustrated lecture showcasing the history of artful preparations, featuring such artists of the specimen as 17th century doctor, dissector, museologist, and wet specimen innovator Frederik Ruysch. Following, Jeiven will lead students in the creation of their very own wet specimen in a vintage jar. Students will also learn to make beautiful labels with waterproof ink using the classic scientific system. All students will leave class with their own finished piece, and the knowledge to source their own materials and create their own pieces in the future. They will also learn how to care for and maintain their pieces. All materials will be provided, and all animals are ethically sourced. R train to Union Street in Brooklyn: Walk two long blocks on Union (towards the Gowanus Canal) to Nevins Street. 543 Union Street is the large red brick building on right. Go right on Nevins and left down alley through large black gates. Gallery is the second door on the left. 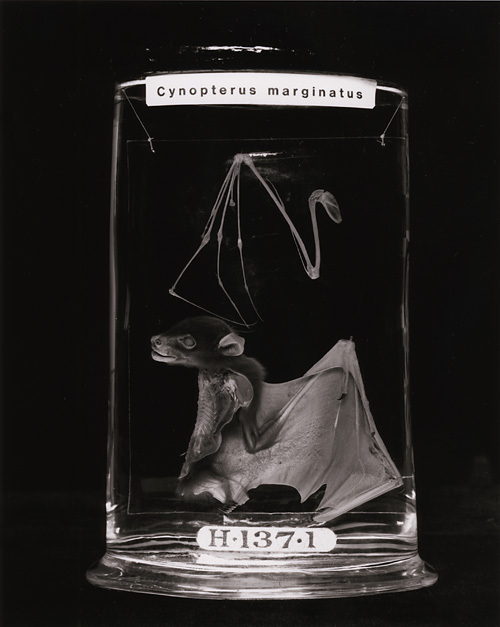 Image: Photo by Elaine Duigenan, bat specimen from The Hunterian Museum; from her "Mysteries of Generation" series. More here. 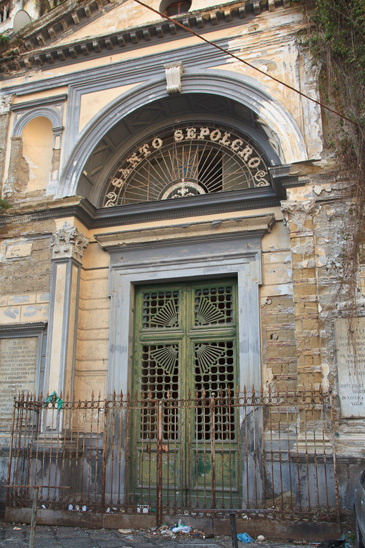 A few days ago, I visited the San Gaudioso Catacombs and the Basilica Santa Maria della Sanità above it in Naples, Italy. 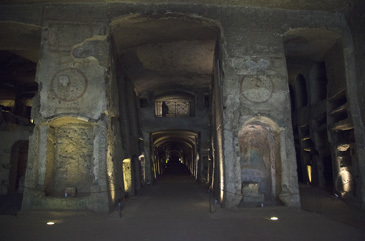 The catacombs were in use by at least the 5th century, though much of its current features date from a 17th Century baroque "rediscovery and intervention." 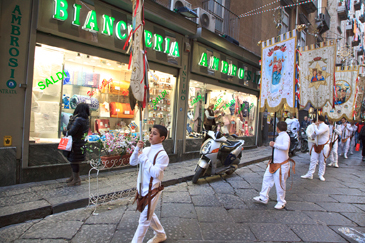 They are located deep in the Capodimonte hillside, which was the traditional burial place in Roman days; here, in a series of warrens constituting what was once a vast necropolis, Pagans and Christians--who coexisted peacefully in Naples, unlike Rome--were interred side by side. 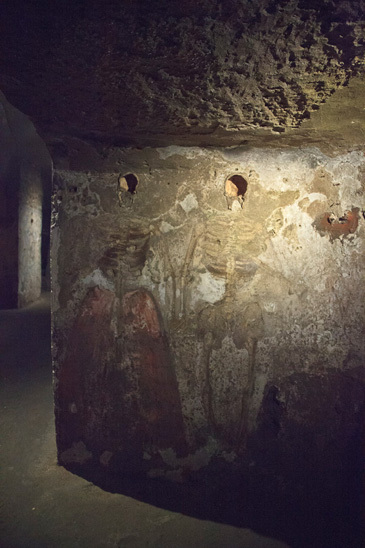 The nearby San Gennero catacombs (8th down), which I had visited the day before, boasted an underground church in the which zealous Christians would worship surrounded by rotting corpses placed in a series of niches to "dry" (i.e. be reduced to skeletal material). San Gaudioso had no such chapel, but it had something even more interesting: a room filled with arresting frescoes of life-sized and costumed skeletons topped with what looked like real human skulls (images 3, 4 and 5) as well as a very handsome and striking life-sized fresco of anthropomorphized Death (image 1-2) with His attendant symbols, topped also with a real human skull. 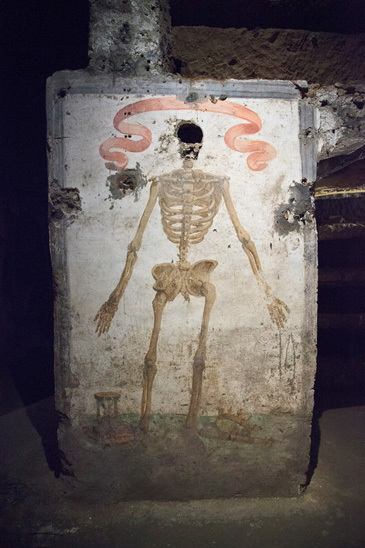 What the brochure did not mention, but which my guide explained to me upon further questioning, is that the Dominicans also chose an anonymous skeleton to serve as "the guard of the catacombs." 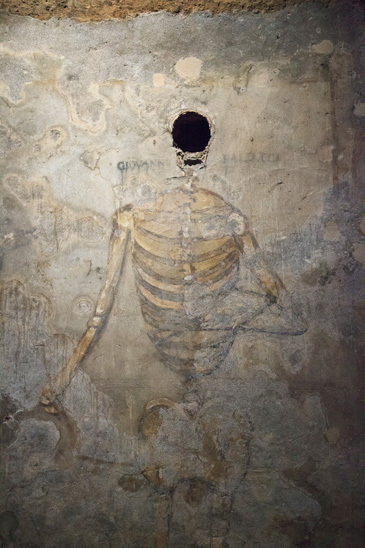 This took the form of a full human skeleton crudely set into the wall (see 6 down). Also, (if I understood my guide correctly), all the little niches you see would have been filled with bones that have only as recently as 1984 been moved to the Cimitero delle Fontanelle (more on that in a future post) on orders of the Archbishop, who thought it was no longer appropriate to have such macabre artifacts on display in this important artistic and historic site. 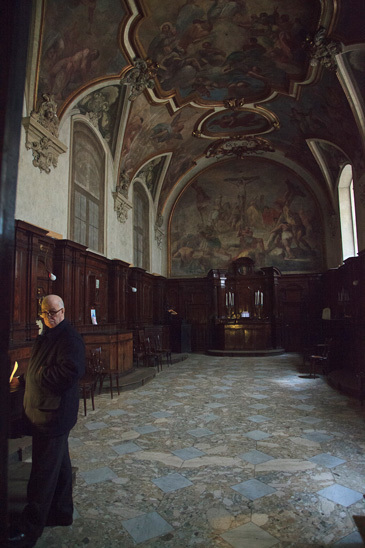 This room also had a wonderful fresco depicting the souls in purgatory--a Neapolitan favorite, also to be explored in a future post. 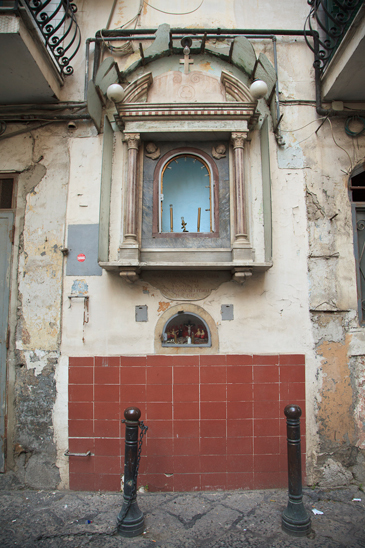 Stay tuned for more posts about the ever-astounding Naples as soon as I have the time to put them together! 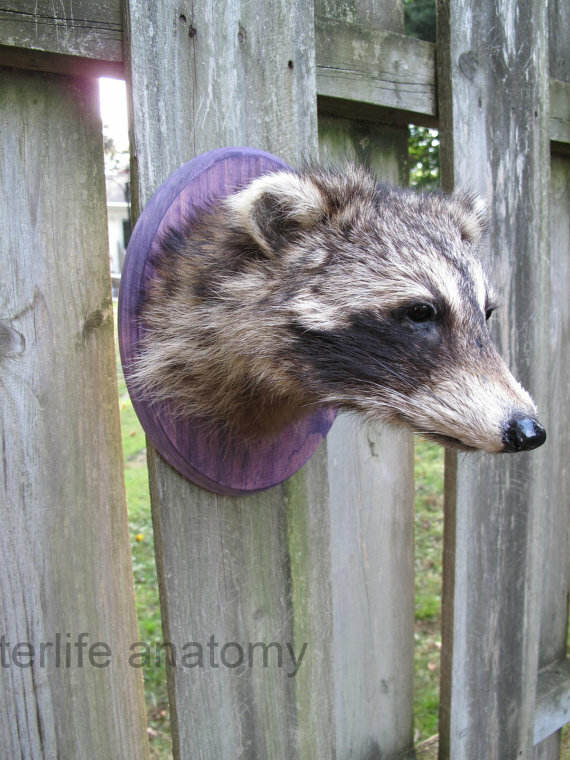 We have one open spot available for each of our two previously sold out raccoon head taxidermy classes--One this Saturday, February 23 and the other the following Saturday, March 2. If anyone is interested in either slot, please email Laetitia [at] atlasobscura.com as soon as possible! The slot will go to the first respondent. 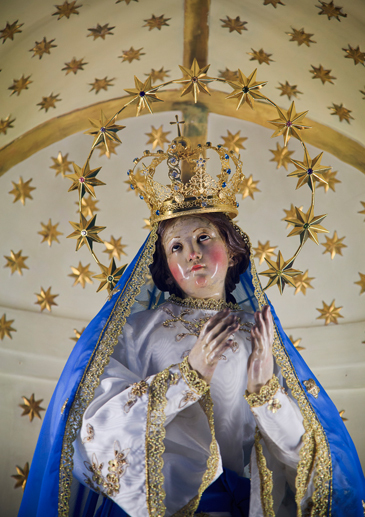 After the conquest of Mexico, the Catholic Church, which viewed all indigenous beliefs of life after death as superstition and blasphemy, prohibited Aztec burial ceremonies and quickly monopolized the afterlife, establishing itself as the indispensable intermediary between life and eternity. 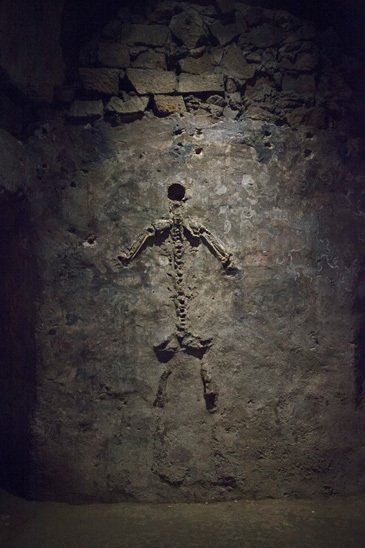 Just as it altered the way natives were to live, the Spanish Conquest radically transformed the way human beings in Mexico City died and the way in which their bodies were disposed. A Catholic death in Colonial Mexico consisted of a funeral service presided over by a priest and with the corpse being buried in a grave. 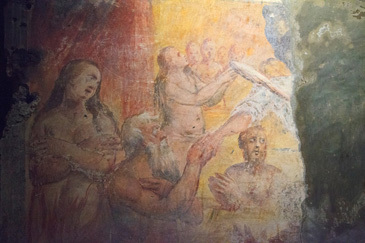 Before they were laid into the ground, however, the eyes and mouth of the deceased were shut, the body covered in a white sheet or cloth, placed in a wooden coffin and stretched out in the same way as Christ when taken down from the cross (on one’s back, arms crossed over the chest, one foot on top of the other). 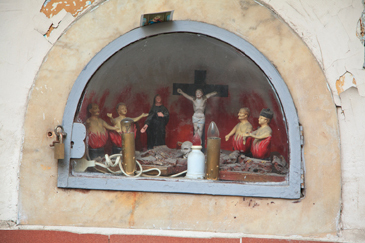 The coffin was then carried from the deceased’s home and mourners carrying torches (symbolizing the soul) accompanied the coffin into the church. 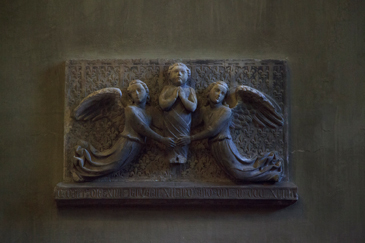 The corpse and tomb were sprinkled with holy water to keep the deceased’s soul safe from the devil and the priest prayed for their safe passage into heaven. 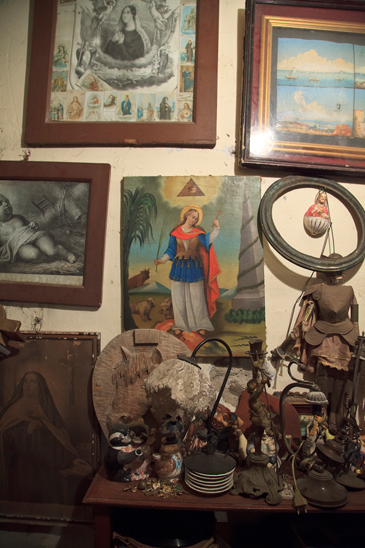 In Mexico, funerals were often national events of the highest order. Between 1559 and 1819, dozens of major funeral services were held in Mexico City for local archbishops and royalty (as well as funerals in abstensia for the kings, queens and popes in Spain). 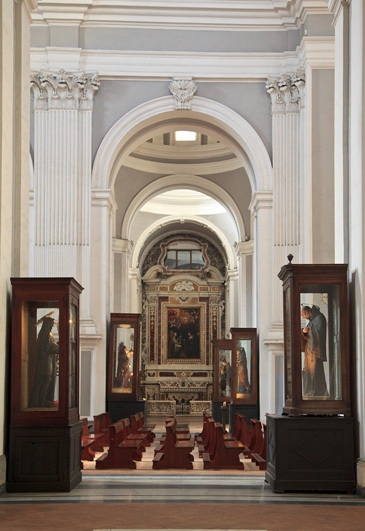 The funeral pyres that housed the noble corpses, usually erected inside the Metropolitan Cathedral, provided the centerpiece of the elaborate ceremonies. These funeral pyres, also called catafalques and commonly referred to as death machines, were multi-floor temples covered in black cloth and gold leaf and often constructed in the shape of a pyramid. 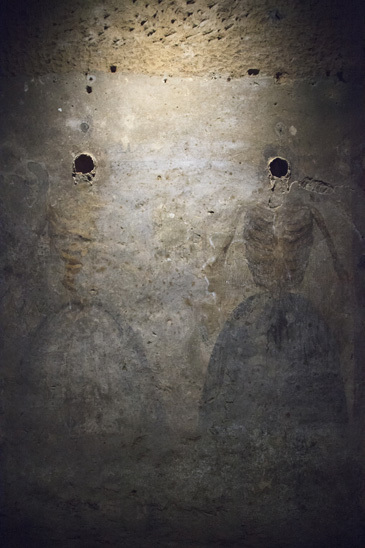 Prominent architects, sculptors, painters, poets and artisans adorned these death machines with images, figures and texts depicting the life and death of the dearly departed (accompanied by skeletons and skulls). 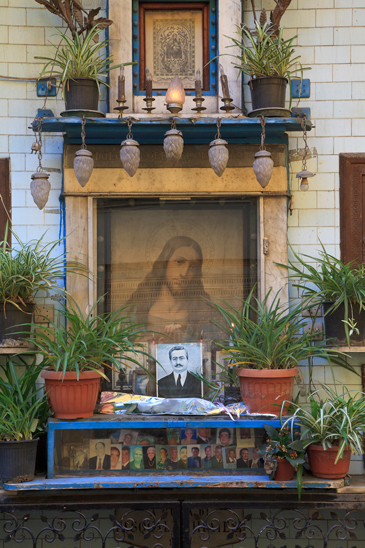 More than just mourning a public figure, these funerals served to illustrate the divine status of certain human beings. 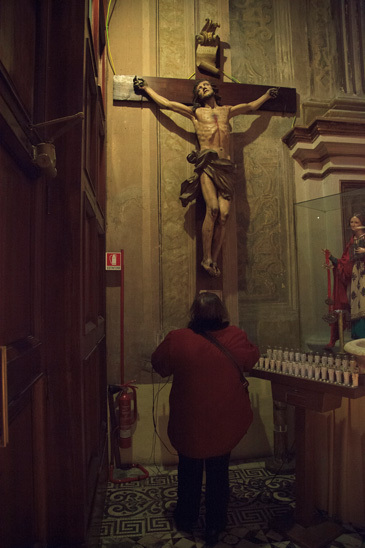 According to the Catholic Church, death is punishment for one’s sins. Sins, however, affect more than just a person’s death and the final destination of their soul, they also affect their physical remains. 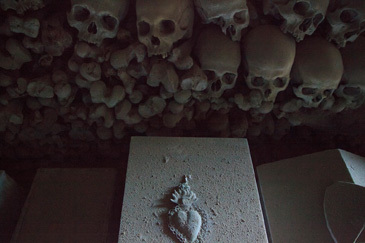 As the state of a corpse revealed the spiritual purity and divinity of the departed, the preservation of the bodily remains of the ruling elite was an important affair. 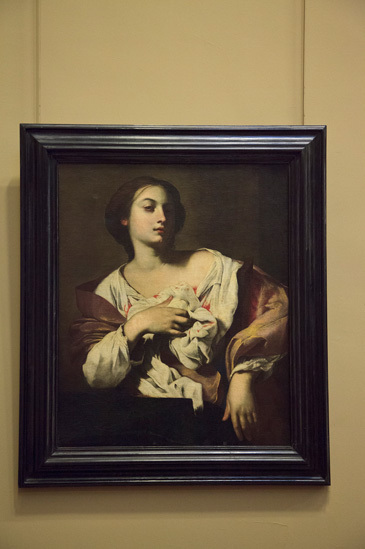 Perfume and anointing processes (a nice word for embalming) ensured that the mortal remains of these personages did not give rise to gossip or speculation. 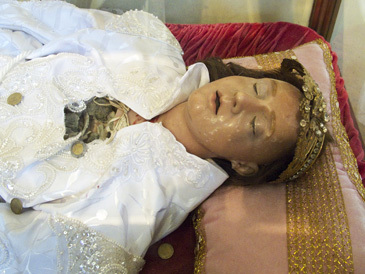 Either as the result of natural gases or from post-mortem procedures, the corpses of religious figures that eventually mummified instead of becoming worm meat stood a much better chance of attaining sainthood, and they also provided living proof that Catholics, if they live a righteous life, can attain immortality in their death. 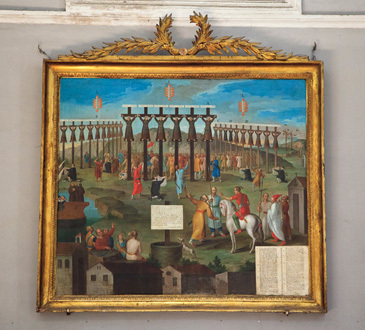 When these grand funeral processions ended, certain of the personage’s body parts (eyes, heart, liver, intestines, bones) would be donated to different churches or convents where each body part would receive its own elaborate funeral ceremony. 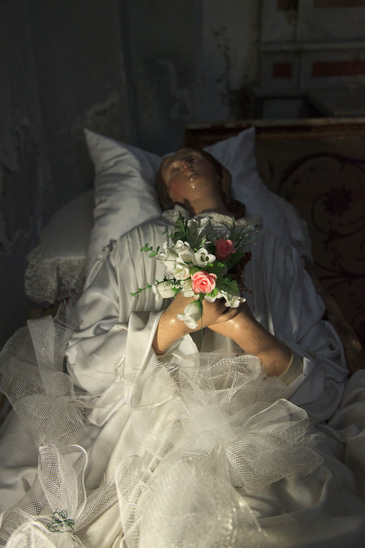 Post-mortem organ and skeletal donations were warmly welcomed, although churches and royalty often bought body parts on the black market, as well. 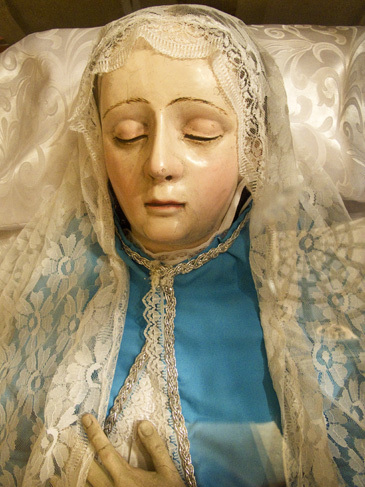 The physical remains of saints have always been considered holy relics, believed to possess curative, even magical powers. 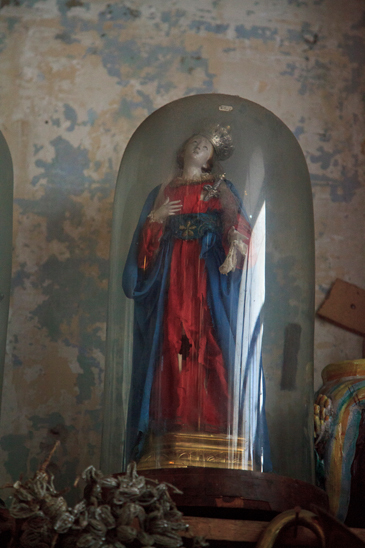 No matter how small the fragment, each relic contains all of a saint’s miraculous power. 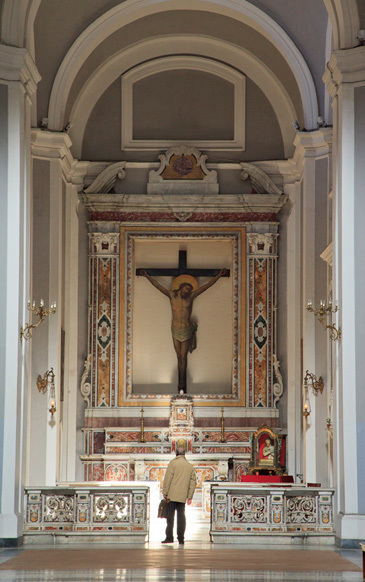 As the existence of holy relics within a church meant an increased influx of worshippers and alms, there was a great demand for such objects. 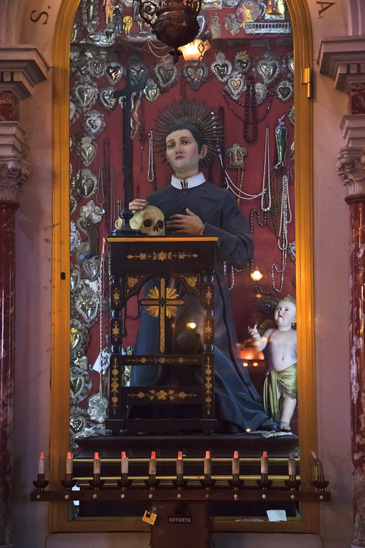 The wealthy in Mexico would often pay large sums of money to obtain body parts or relics of saints, which conferred not only social distinction but also provided their owners with extra spiritual blessings. 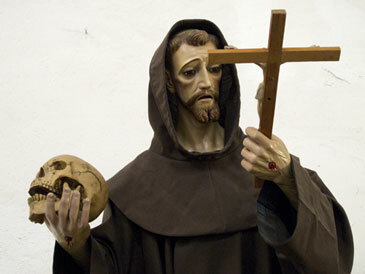 To meet the demand, priests began to hack up the corpses of Christian saints into increasingly smaller bits. 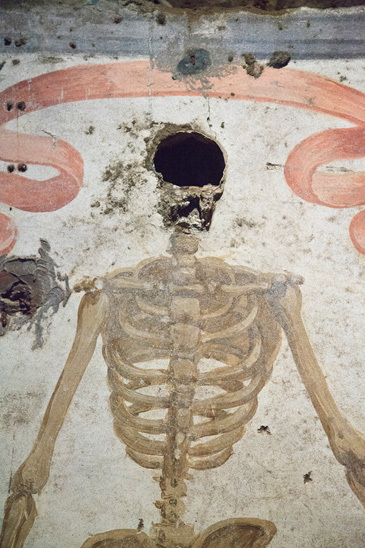 Relics are given Latin names depending upon their origin: corpois (from the body), ex capillus (hair), ex carne (muscle), ex ossibus (bones), ex praercordis (stomach or intestines), ex pelle (skin) and ex cineribus (ashes). 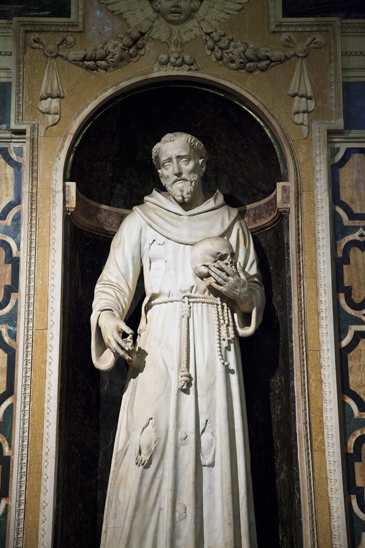 Body parts of saints, including their bones, blood or cremated ashes, are considered first-class relics. 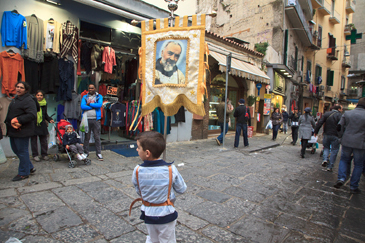 Second-class relics are a saint’s clothes or religious accessories, while items that have come in contact with the body or grave of a saint are referred to as representative relics. 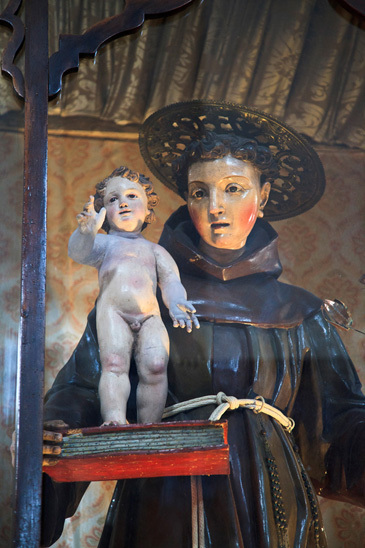 Many exotic body parts or paraphernalia from saints and religious figures have been collected and are prominently displayed in the Vatican and other reputable houses of worship, including: mother’s milk from the Virgin Mary; Christ’s circumcision knife and foreskin (14 churches claim that theirs is the one, true foreskin); the tail of the donkey that Christ rode into Jerusalem; a sneeze from the Holy Spirit and a sigh from Saint Joseph. 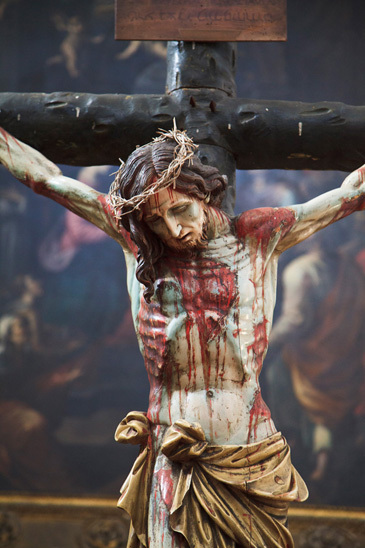 The holiest of all relics in Mexico, safeguarded within the Metropolitan Cathedral, is a splinter from the cross Christ was crucified upon. 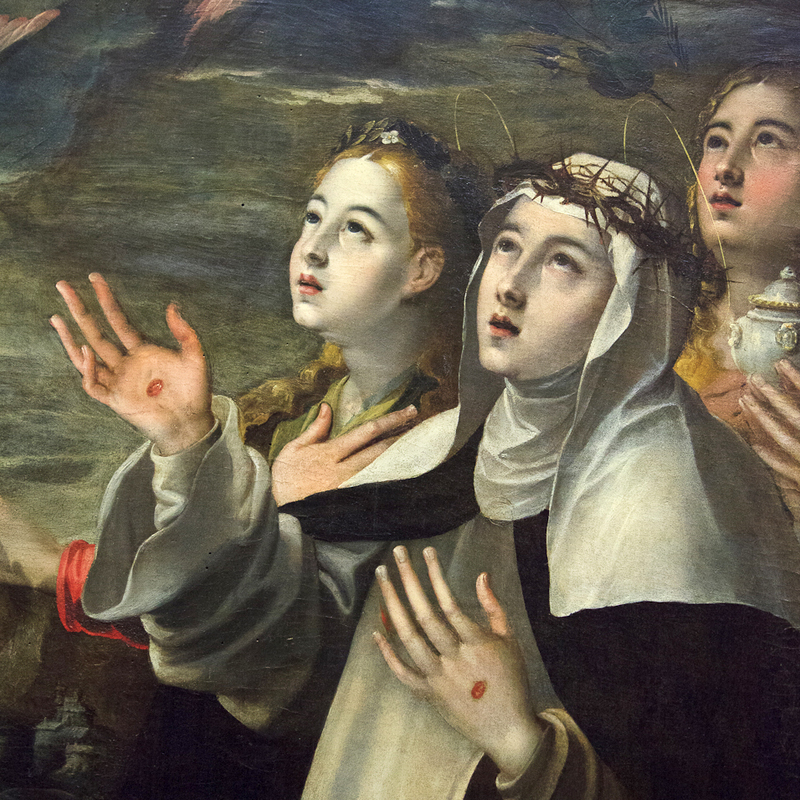 After the Conquest, a large number of saints’ body parts were sent by boat to Mexico to help convert souls in the New World. 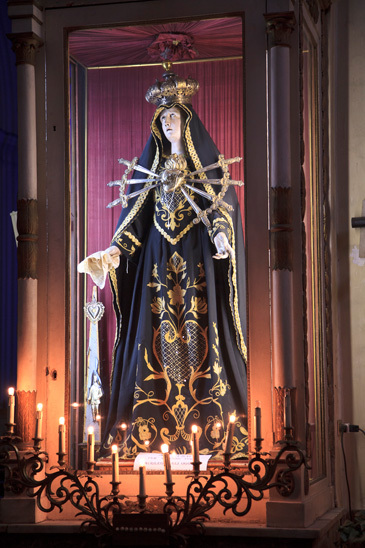 The arrival of these relics would often be accompanied by a large procession from the port town of Veracruz all the way to Mexico City. 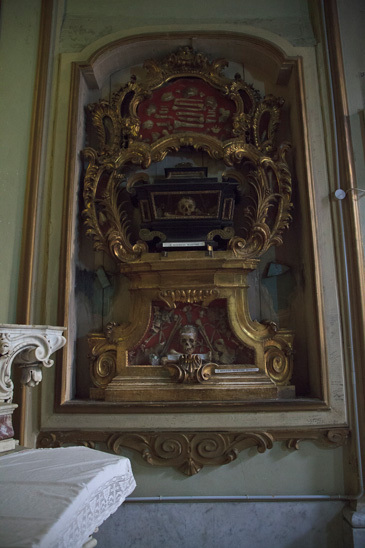 Relics are still very popular, and major collections travel from church to church around the world, bringing in the crowds of faithful who believe that proximity to the bones and other sacred scraps will provide them with miracle cures. 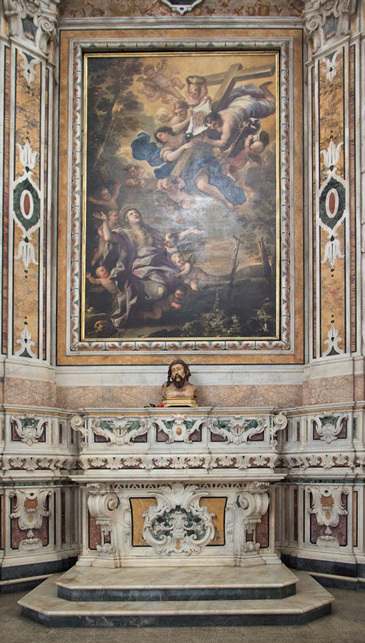 (In order to receive blessings or pardon from the saints, the Church insists that worshippers must approach these relics without any morbid curiosity.) 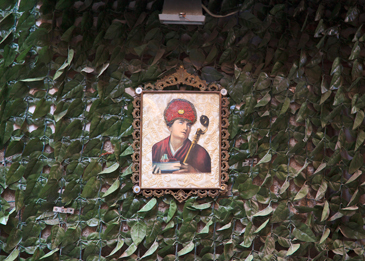 Pope John Paul II, who passed away in 2005, had somewhat of a revival in 2011 when a vial of his blood was flown to Mexico City and displayed in churches around the country. 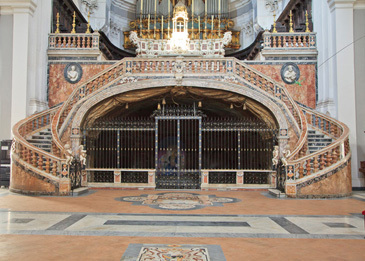 The Chapel of Relics, located within the Metropolitan Cathedral, contains the skeletons, craniums, molars, hands, fingers, feet, intestines, hair and bones of 150 saints, including Maria Magdalena, Saint Gonzaga, Saint Francis, Saint Augustine, as well as a few of the legendary 10,000 Virgins. 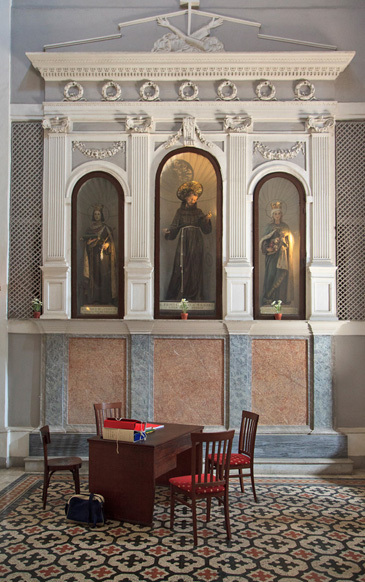 Within the exquisitely carved wooden floor-to-ceiling altar inside this chapel lie two wax figures of women encased in elaborate glass cubicles. 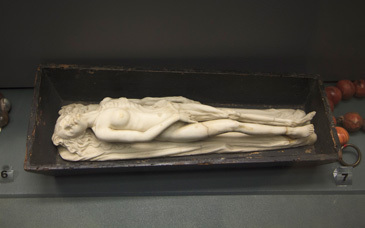 These life-size figures are themselves merely display cases for the bits of bone that are set within their wax bodies, a window having been sewn into their clothes to permit them to be seen. 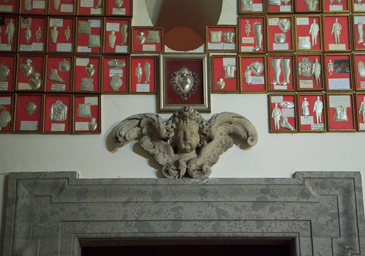 Several bone fragments are also displayed within gold and silver hands and trophies and inside framed tapestries. 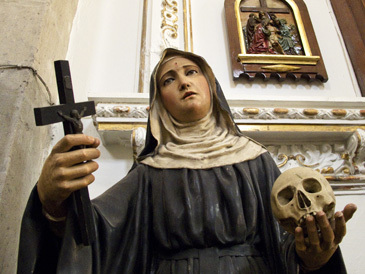 Like Catholic saints, Mexican political leaders also have a history of being brutally murdered. Depending on which history you believe, Moctezuma was killed either by an angry mob throwing rocks while he was paraded around on a roof by Cortés, or he was stabbed in the groin by Cuauhtémoc as punishment for allowing himself to become Cortés’ chicken boy. The great warrior Cuauhtémoc became emperor of Mexico-Tenochtitlan after Moctezuma’s successor Cuitlahuac died from small pox, but he was soon captured by the Conquistadores trying to escape the siege of the city in a canoe dressed as a woman, and was tortured and eventually murdered. Miguel Hidalgo was shot by a firing squad in 1811, as was José Maria Morelos in 1815, both leaders of the Mexican Independence movement. Mexico’s Emperor Agustin de Iturbide and President Vicente Guerrero were both shot and killed by a firing squad in 1831, and Emperor Maximilian and President Miguel Miramón were also both shot and killed by firing squad in 1867. President Manuel Robles Pezuela was assassinated in 1873, President Francisco I. Madero in 1913, Emiliano Zapata in 1919, President Venustiano Carranza in 1920, Pancho Villa in 1923, and President Álvaro Obregón in 1928. Colossio, the man who would have been president in 1994, was shot and killed (the mystery of his murder has never been cleared up although his predecessor, ex-President Carlos Salinas, is generally believed to have been behind the assassination). You can find out more about this fantastic book--and order a copy of your own!--by clicking here. All photos are © Kurt Hollander and are drawn from the book. You can find out more about Kurt by clicking here. Sorry for the radio silence. 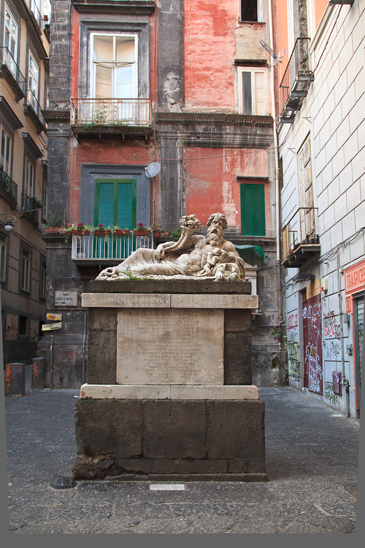 I have been busy rediscovering what might well be my favorite city on earth--Naples, Italy. More soon. I promise. For now--some photos to tide you over. Thanks very much to Mark Splatter for recommending tje wonderful book from whence the above quote is drawn.